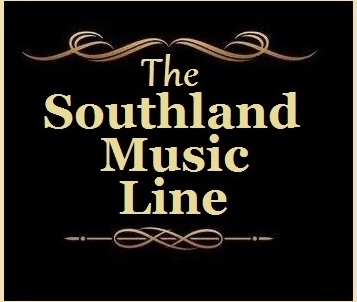 The Southland Music Line continues its busy schedule and Southern Pilgrimage searching for the best music around. 2015 has been an active and productive year. As both January and February saw us seeing more than 50 shows and events, the spring 2015 has continued at the same pace, putting us easily beyond 125 days and nights of music and having seen well over over 250 bands/solo artists. 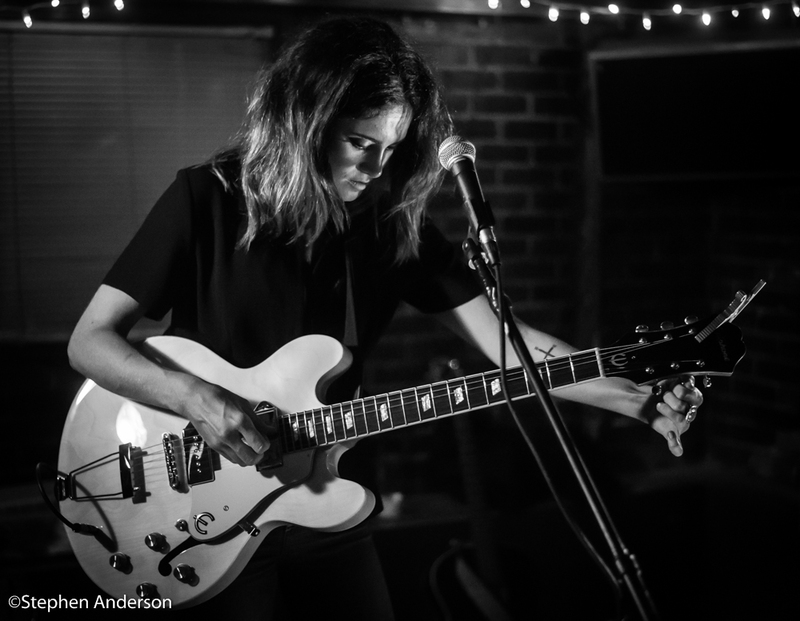 2015 began with anticipated shows from Larkin Poe, Lincoln Durham and Jack White. Once again, the 30A Songwriters Festival (in the Florida Panhandle) was highly entertaining. 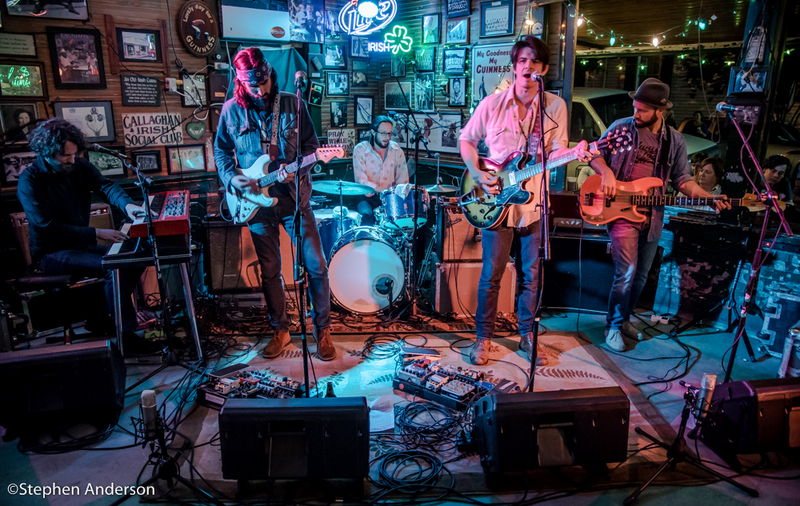 We, at The Line, had the privilege of seeing artists: John Moreland, Hayes Carll, Deanna Carter, Robert Ellis, Jason Isbell and Leon Russell – all performing at separate showcases. Also, the year has been packed by memorable individual and/or band performances by Oh Jeremiah, The Mulligan Brothers, Seth Walker, Della Memoria, Andrew Duhon, Grace Askew, John Calvin Abney, The Dig, Ben Jernigan, Melissa Joiner, Rooster Blues, Mississippi Shakedown, Jimmy Lee Hannaford, Lisa Mills, Zach Fellman, This Frontier Needs Heroes, M. Lockwood Porter, Gram Rea, Ross Newell, and the music of Lindy Sholes with Doug Sholes. Our road trips have taken us to Austin, TX for South By Southwest (multiple bands & musicians were seen. Plus, a two-part article was written that details our trip); Two trips to Blue Canoe in Tupelo, MS where we saw both Town Mountain and Billy Joe Shaver; Three times to Birmingham, AL to see John Mellencamp, Flaming Lips, Steve Winwood with Sugarcane Jane; also a trip to Memphis,TN to see Elvis Costello with Larkin Poe (we saw him a second time two days later in Mobile, AL); additionally, we went to Starkville, MS to see Jack White; and numerous trips between New Orleans and the Florida Panhandle. 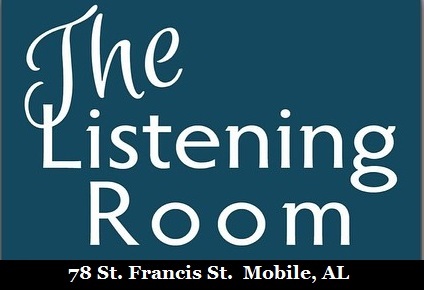 We also attended several local festival events including: Live Oaks Arts Festival in Pascagoula, MS (Mirage; Blackwater Brass; Johnny Sansone & Band; and The Stolen Faces); Magnolia Springs Festival in Magnolia Springs, AL (The Mulligan Brothers; Willie Sugarcapps); A fun memorial day weekend event at Lulu’s in Gulf Shores, AL which featured Vessel, Andrew Duhon Trio, Grayson Capps and The Lost Cause Minstrels, and (from Austin, TX) Mingo Fishtrap; The Legacy Summer Music Festival (Melissa Joiner, Lisa Mills with Chris Spies, Oh Jeremiah and Willie Sugarcapps), and more. 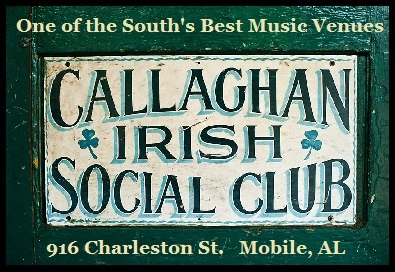 Callaghan’s in Mobile, AL has been hard to beat in 2015 with performances by Great Peacock, Dylan LeBlanc, Banditos, The Deslondes, Delta Reign (who had their album “Nothing But Sky” release party at Callaghan’s), The Heard, Humming House, The Mastersons, Band of Heathens, El Cantador’s final show, and several others. If musicians get a chance to perform at Callaghans, they should not hesitate on performing at one of The Deep South’s most enjoyable and accommodating venues. 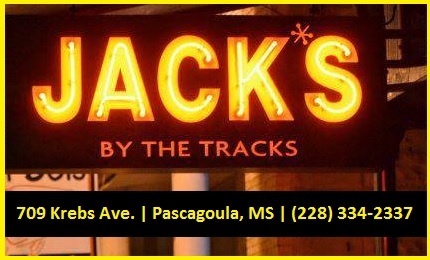 The same can be said of Jack’s by the Tracks in nearby Pascagoula, MS. It has had no shortage of great music as well. At Jack’s we’ve seen performances by Sugarcane Jane, Fat Man Squeeze, The Deluxe Trio, Mark Pfaff, Cowboy Johnson, Phil Proctor, Wes Lee, Nikki Talley & Jason Sharp, Molly Thomas & The Rare Birds, Holli Mosley & Tim Kinsey, Joe Cat, Kyle & Karl, Andrew Michael Ellis, Banditos, Scott Chism & The Better Half, Truitt Williams Band, Jonny Kashner & Hachet Boys, Cary Hudson, and others. Ben Kaufman’s Irish Coast Pub in Gulfport, MS has been the place to be on Monday nights. Diggs Darcey hosts the enthusiastic weekly open mic/ music jam sessions featuring a who’s-who of local musicians – even calling themselves “The Monday Night Band”. Each Monday night it’s common to see musicians: Jason Sanford, Eddie Dixon, Zach Fellman, Tim Murphy, Matthew Slater, Stefan Lawson, and several others performing. Irish Coast has already had several great live shows scheduled in 2015: Wes Lee, Jeff Thompson, Della Memoria, Moonhawk, Emily Kopp, Rosco Bandana, Bronwynne Brent with Jeff Lewis and Sherry Cothren of Cynical Twins, Kyle Reid and the Low Swinging Chariots, and others. 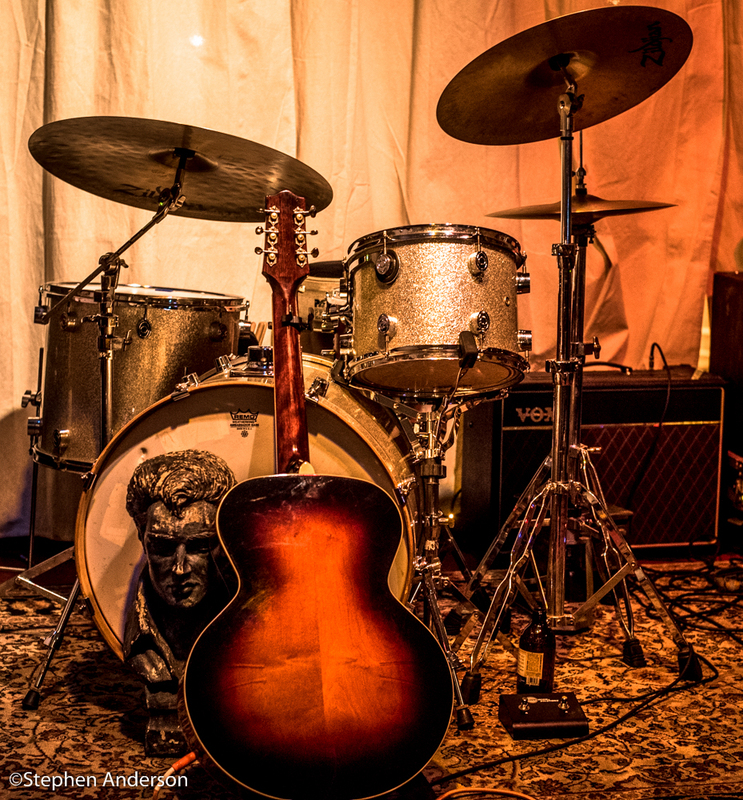 Robby Amonett (Artist and a contributor to The Southland Music Line has painted the live performances of a multitude of musicians in venues across the Gulf Coast, Deep South and abroad. 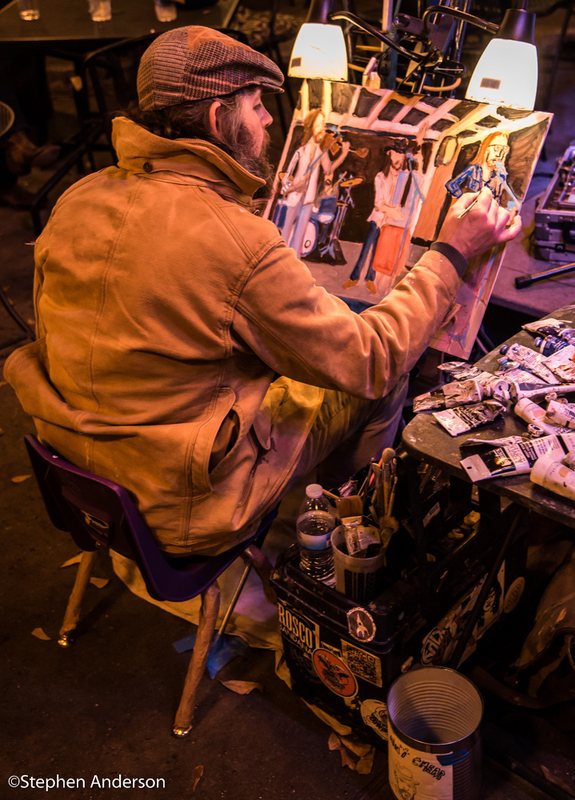 In 2015, he has painted at The Frog Pond at Blue Moon Farm in Silverhill, AL; Jack’s by the Tracks in Pascagoula, MS; Callaghan’s in Mobile, AL; Blue Canoe in Tupelo, MS; Irish Coast Pub in Gulfport, MS; The Beatnik in New Orleans, LA; Thirsty Hippo in Hattiesburg, MS; and several other places. 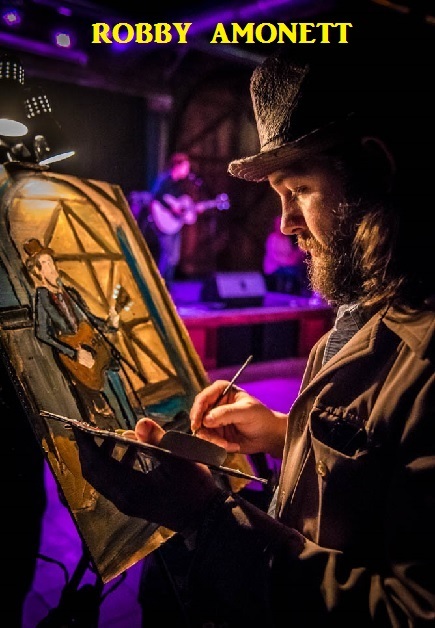 Above: Amonett is painting a performance by The Mulligan Brothers at Leo’s in Ocean Springs, MS on Sun Jan. 25, 2015 (Photo by Stephen Anderson). 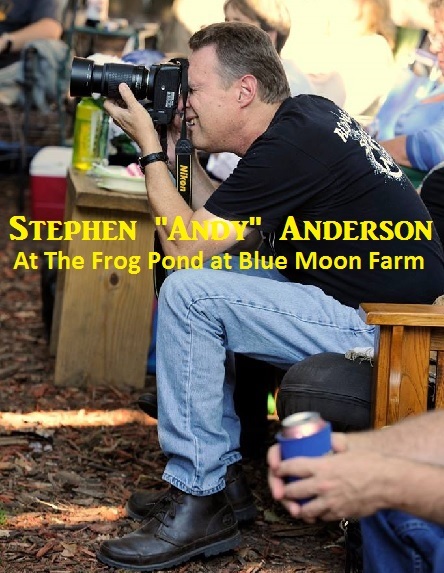 The Frog Pond at Blue Moon Farm has continued its winning ways by providing the region with one of the foremost experiences for real music listening enthusiasts. We look forward to seeing things start back up in the autumn at Blue Moon Farm. A huge gratitude of thanks goes to Cathe Steele and all those who help her put together a special time for so many. 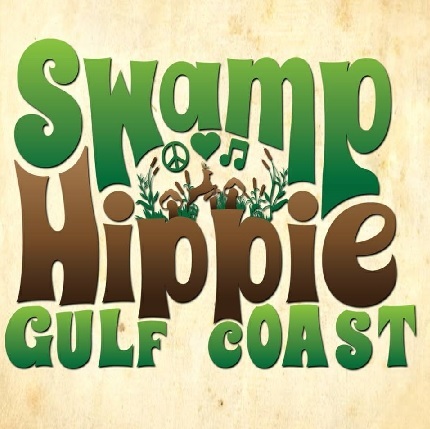 On each trip to the Frog Pond, phenomenal talent is expected: Willie Sugarcapps, David Olney, Cary Laine, Sugarcane Jane, Brigette DeMoyer, Sergio Webb, Dylan LeBlanc, Will Kimbrough, Grayson Capps, Corky Hughes and more! The Frog Pond Sunday Socials have become an extended family to those who attend regularly. The Shed at the Hwy. 57 / I-10 Crossroads has been a popular spot for us. Murky Waters, Gov’t Street Grocery, The Julep Room, Leo’s (all in Ocean Springs, MS) have also been frequented by The Line. Thirsty Hippo in Hattiesburg continues to be a favorite too. Also, the scheduled music events associated with the Mississippi Songwriters Association has brought great music to The Mary C. O’Keefe Center, including the talented Travis Meadows. Several who assist The Line saw a variety of shows (e.g. Widespread Panic, Rush, Lucero, Steve Earle, Mac McAnally, Taylor Swift) and festivals (e g. New Orleans Jazz & Heritage Festival; Shaky Knees Festival in Atlanta). *The Power Trio performance from Grayson Capps, Corky Hughes and John Milham at Callaghan’s on Sun. May 3rd. 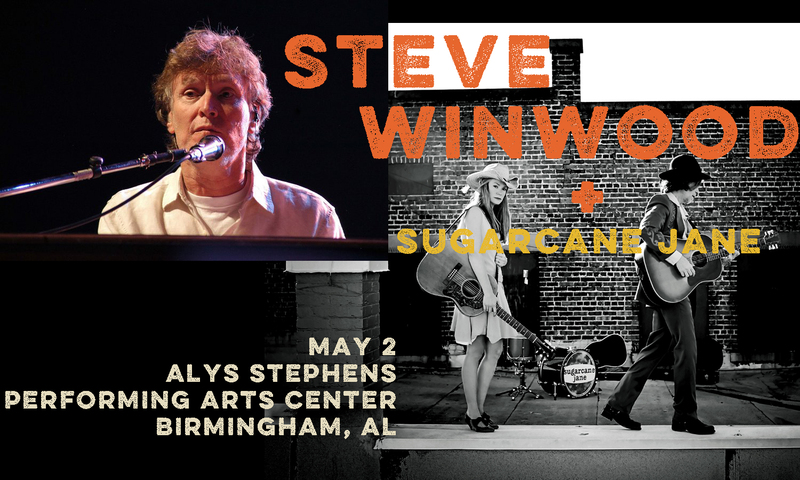 *Sugarcane Jane opening the show for Steve Winwood in Birmingham, AL. (Sat. May 2) They truly shined on that amazing night… and while we are at it, Sugarcane Jane’s performance at The Frog Pond at Blue Moon Farm on Sun. April 5th was one of my favorite shows at The Frog Pond. 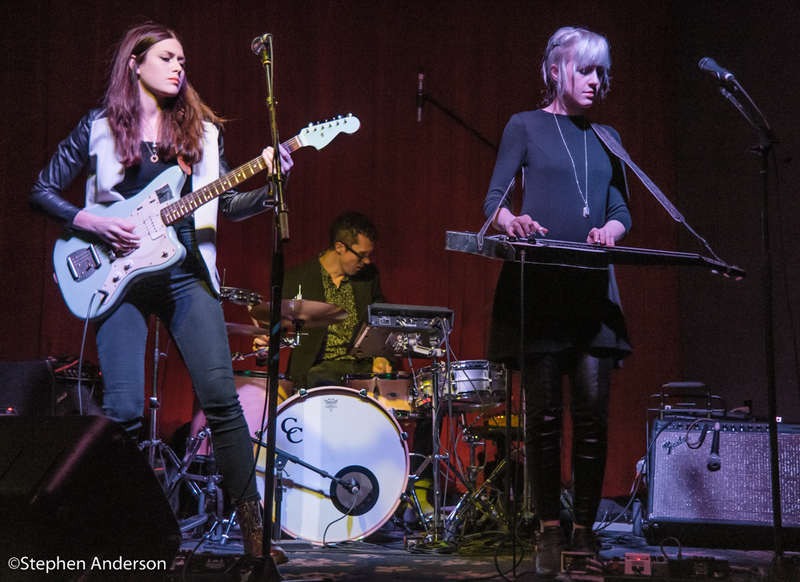 *Larkin Poe (with Emily Kopp) in New Orleans on one stormy weather night. Emily Kopp was the opening performance and since, we have become big a fan of hers (Thurs. Jan. 22). 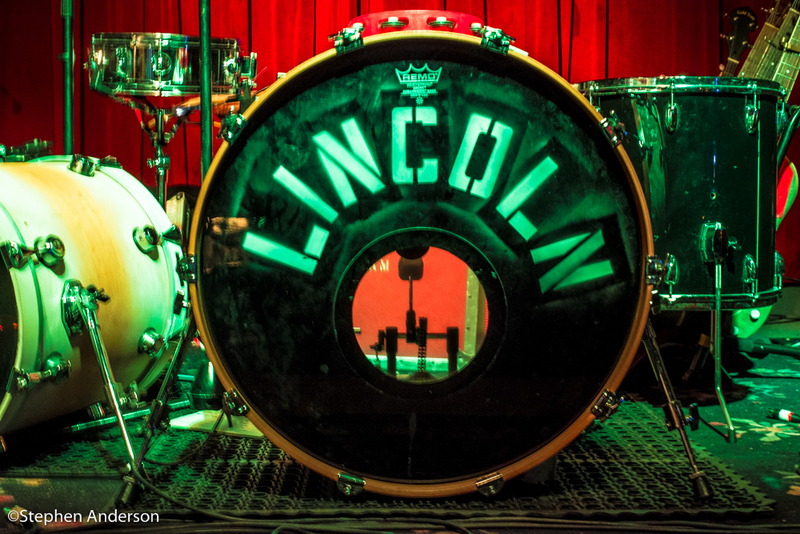 *Lincoln Durham in New Orleans on the night following Larkin Poe’s show (Fri. Jan. 23). * Two nights of Elvis Costello – first in Memphis with Larkin Poe performing with him (Tues. Mar. 10); and secondly, Costello’s solo show in Mobile, AL (Fri. Mar. 13). *Molly Thomas & The Rare Birds at Jack’s by the Tracks (Thurs. April 16). 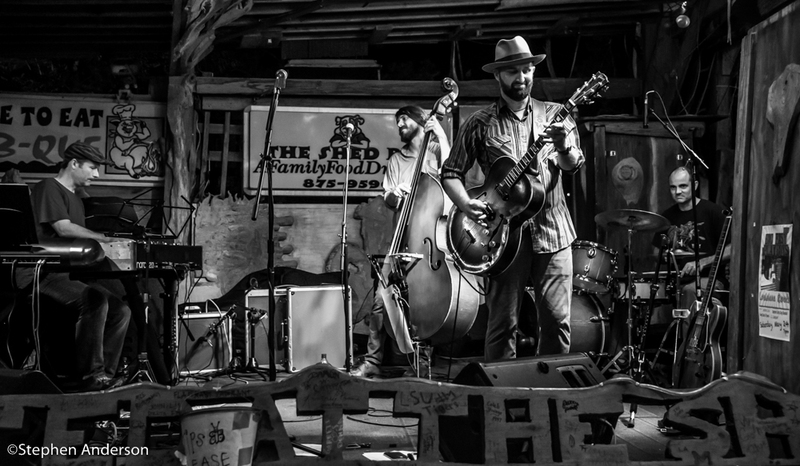 *John Calvin Abney, M.Lockwood Porter, and Chad Cox at Thirsty Hippo in Hattiesburg, MS (Mon. Feb. 2). * Grace Askew Live at The Julep Room (Sat. April 18). *Rosco Bandana Live at The Hard Rock Cafe in Biloxi, MS (Thurs. April 9) and Government Street Grocery (Thurs. May 28). 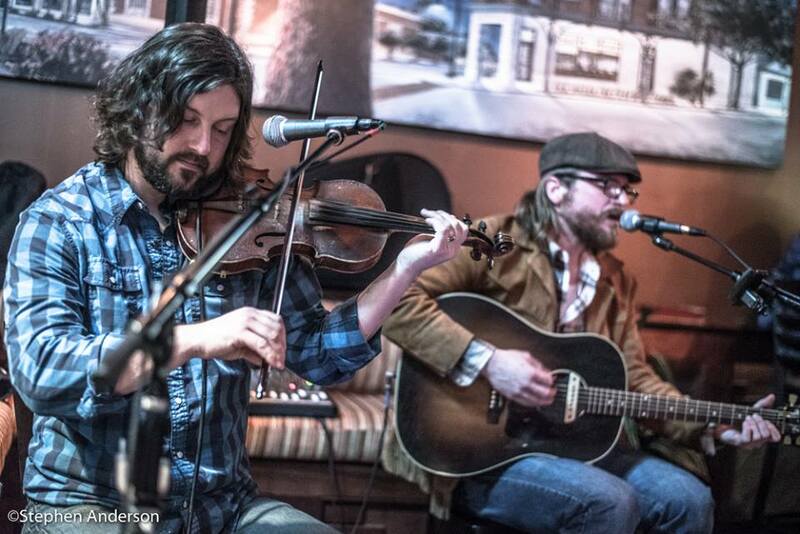 *Oh Jeremiah with full band at Callaghan’s (Sun. Jan. 4). *Great Peacock at Callaghan’s (Sat. Feb. 28). Of course, more could be added (the above serves as an example). 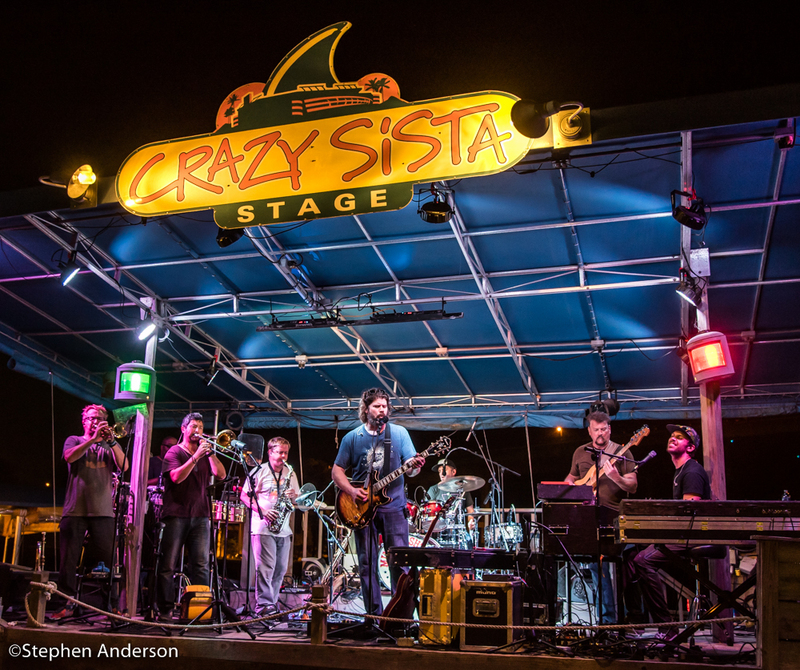 As summer approaches, big plans for some upcoming shows, events and roadtrips are being planned, including two Rolling Stones’ shows; the Willie Nelson 4th of July Picnic; Sugarcane Jane touring with Steve Forbert; and hopefully the return of one of our favorites, Escondido. 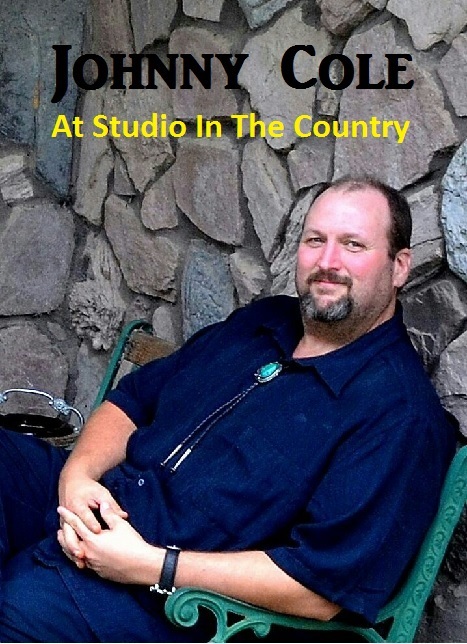 The final article in 2014 announced Willie Sugarcapps as 2014’s “Artist of the Year”; it was then followed by a 4-part article by The Line’s Stephen Anderson, Robby Amonett and myself reviewing the best of 2014, as observed by The Southland Music Line, in great detail. Future articles would include ones about Lincoln Durham; SXSW 2015 (a two part); Billy Joe Shaver’s performance in Tupelo, MS; and Delta Reign’s latest album “Nothing But Sky”. Robby Amonett had the privilege of writing an article about his good friends, Banditos, and the release of their new album from Bloodshot Records. Above top: The Southland Music Line Covers (January-May 2015); Above: The Coastal Noise Podcast The Line’s Johnny Cole was invited to join to discuss music. 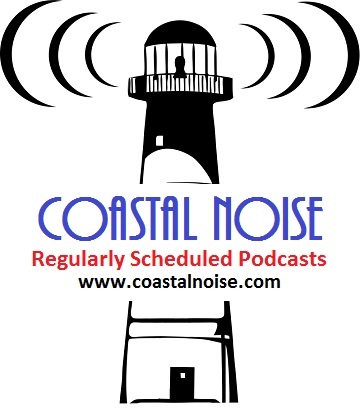 (Podcast photos by Stefan Lawson of The Coastal Noise). We are looking forward to another memorable year as 2015 continues. Thank you for following The Line. Tagged 2015: A Year in Music.